SecureSign – login and transaction signing for Credit Suisse online services. 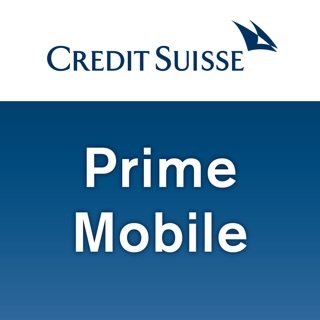 An existing client relationship with Credit Suisse and a valid login for one of the supported Credit Suisse online services are required in order to use this app. •	Offers an easy and convenient means of logging in and confirming transactions such as payments, transfers, etc. Once you have logged in, you can register for the new security procedure yourself under "My Profile/SecureSign". With SecureSign, logging in to Mobile Banking is even faster and more convenient. If you have installed Credit Suisse Direct and the SecureSign app on the same smartphone, only a user ID and password are now required to log in. After this, the SecureSign app asks you to confirm login by pressing a button. By downloading/using this app, you explicitly agree to the data you provide to Apple Inc. and/or iTunes SARL ("Apple") being collected, transferred, made available, and processed in any other manner in accordance with Apple's Terms and Conditions. This may enable Apple and other third parties to infer the existence of a current, past or future business relationship between you and Credit Suisse Group AG and/or one of its Group companies ("Credit Suisse"). Credit Suisse cannot be held liable in this regard. I like how I can scan the orange payment slips and the app automatically fills out the payment. I find the app easier to use than the internet login for most things. But there is no option to refine the search. SMS Verifizierung war perfekt! Ich wohne im Ausland und brauche nun immer zwei Geräte um mich anmelden zu können oser irgendwelche Bankgeschäfte ausführen zu können. Bei jemandem der geschäftlich viel unterwegs ist das eine Zumutung! Unfassbar! Diese Anmeldeprozedur ist dermassen mühsam, dass es sich lohnt Bank zu wechseln! Einfach nur Schrott. Sowas darf einfach nicht sein. Mobilität wurde einfach zurückgestuft. Mir bietet sich wegen dieser schrottigen Anmeldeprozedur nur noch ein Wechsel in eine andere Bank.